Medals aviation. 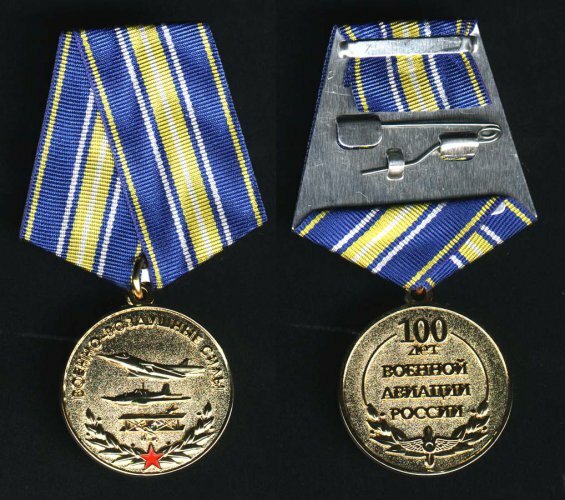 Medals aviation in Russia. Next, who left Russia in the history of the world of aviation, will remain there for many centuries. When, during the war, Soviet pilots climbed up on the wings of their light aircraft, the more powerful the heavy German equipment in front of them just shaking. About the heroism of Russian air aces legends. The participation of the Russian Air Force in the modern Chechen and other conflicts, and not once mentioned. During the existence of thousands of military aircraft pilots and navigators had to show courage and bravery, courageously defending their country, for which they were awarded various awards. To get in the property such signs pilots differences dreams faleristov many around the globe. Among the medals are valued by those who have already celebrated many years. His insignia are like military pilots, as well as in other areas: assess the merits and in the field of civil aviation. The venerable age, usually adds value breastplates. On the front and back of the coin are relief images. Embossed there drawings and inscriptions represent an event that is associated with a medal. There are memorable Air Medal, dedicated to the legendary private individuals: such as A.Maresev, I.Kozhedub, in Chkalov. Not so long ago, air force of the Russian Federation celebrated its centenary. It is believed that the Russian Air Force was born in 1910 year, when it was decided to purchase the French first aircraft weapons for the royal army. A couple of years into the sky has already climbed his own heavy bomber, which was named "Ilya Muromets". release commemorative medal was timed to the centennial of military aviation. Despite the fact that this distinction appeared quite recently, it has already become a rarity. And the value of a coin will increase with each passing year. The breastplate is made of brass. The phrase “Russian Air Force” is stamped on its reverse. On the other hand, the slogan sets a high goal: “To fly above all, faster than all, and farther than all” Below is the period: 1912-2012. As part of the modern Air Force there are many different units: this includes the anti-aircraft and reconnaissance troops and the northern naval aviation, there are special radio and electronic units, and so on. On the medals of aviation, issued before the 2011 year, you can see red stars. More modern signs are distinguished by a blue-and-white edging: blue and white, on the one hand, can symbolize the sky and the white wing of an airplane, on the other, these two colors are present on the Russian tricolor.